I can recall watching SciFi movies, and reading SciFi novels that would have futuristic automation, in anything from the main ship, to small devices that were carried by people. Think Star Trek, and the ships computer. This little device has taken Apple's Siri to a whole new level. I do have reservations about a mic always on in my home, can this be hacked? Probably. But the concept is amazing and something I want to own! How about a 1 Terabyte Thumb Drive? 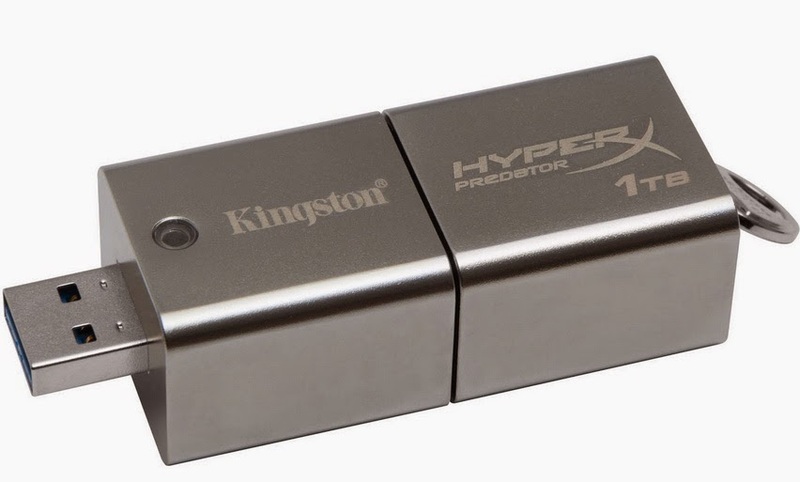 Well the Kingston DataTraveler HyperX Predator gives you a 1TB portable flash drive that has read speeds of 240MB/s and write speeds of 160MB/s. Right now something like this costs well over $1000, but for a super compact backup device, that can be carried or kept on one's person. Priceless.